Right Click or Tap on Volume icon in notification area on bottom right side of your screen, and select 'Sounds' from pop-up menu. 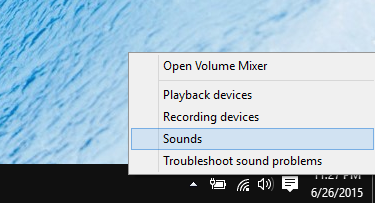 This will open Sound Settings dialog with 'Sound' Tab as active. 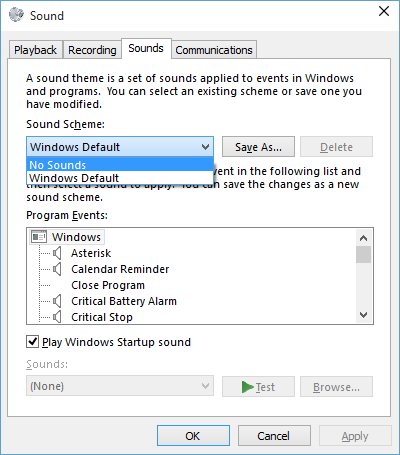 In Sound Settings dialog, Click on drop-down menu under 'Sound Scheme' and change value to 'No Sounds'. 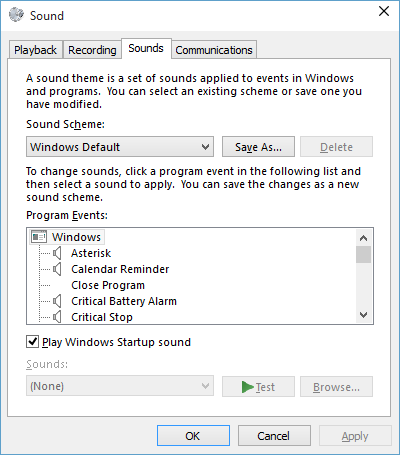 Click on 'Apply' button and then click on 'OK' button to close Sound Settings dialog. This will disable all sytem sounds and notification sounds on your computer.